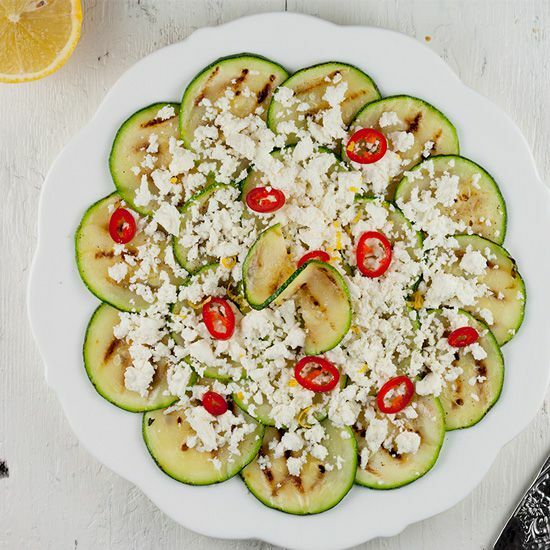 CUT the zucchini in slices, not too thin, otherwise they will burn on the grill pan. Also cut the red chili pepper in thin slices and set aside. 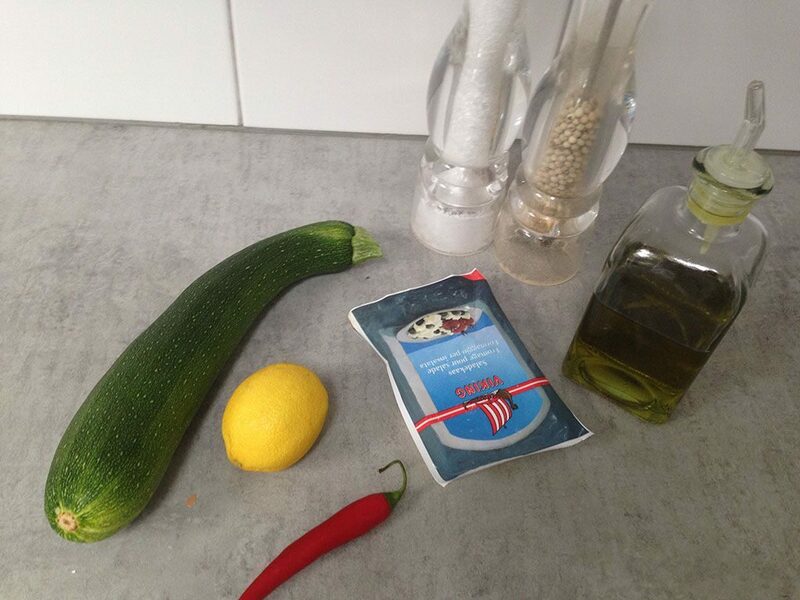 Sprinkle the zucchini slices with olive oil. CRUMBLE the feta on top and also divide the red chili pepper slices. Drizzle with olive oil and SQUEEZE a little lemon juice to finish it off. 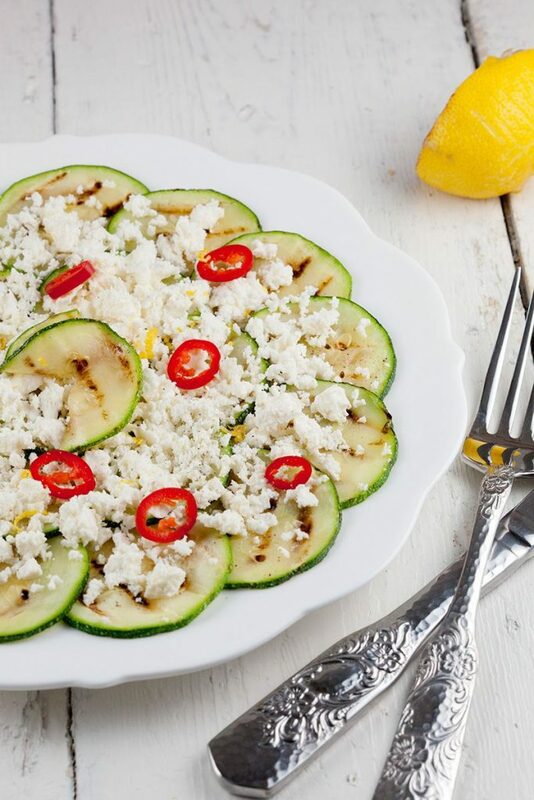 You can eat this salad when the zucchini is still hot, but it’s even delicious when it’s lukewarm or cold. Enjoy as an appetizer or side dish! This looks so simple yet so delicious. 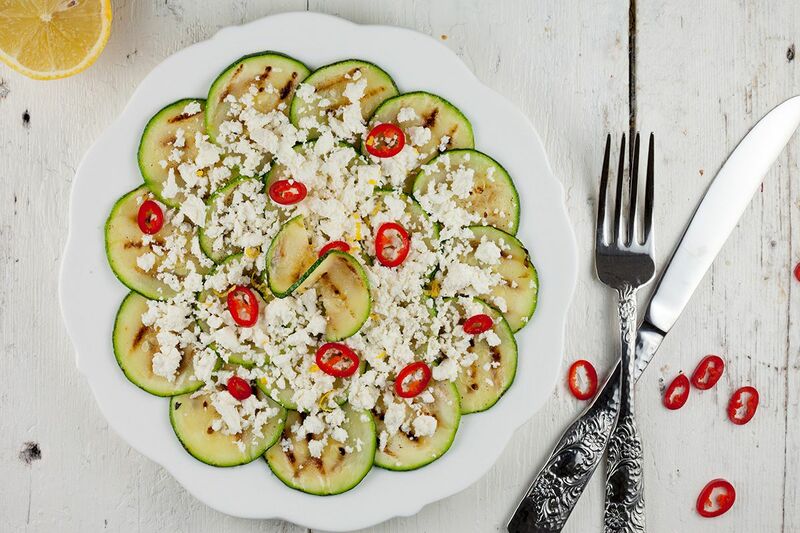 I love grilled zucchini. I’m going to have to make this this weekend.